There are always a handful of coaching changes during the NHL off-season and this year will be no different. 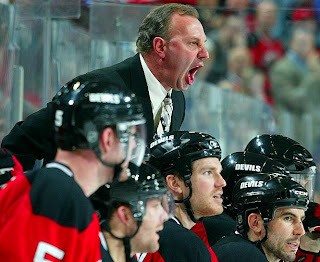 It's almost like a rite of summer and if the last couple years can be used as any prediction tool, there might be some new faces behind NHL benches at the start of 2009-10. 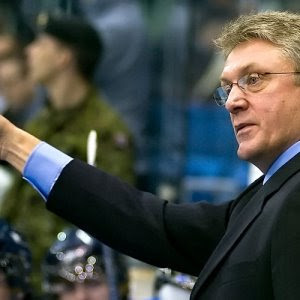 John Anderson took over the helm of the Atlanta Thrashers after running their AHL farm team. Unfortunately for Anderson, he hasn't had the instant success that Bruce Boudreau has enjoyed in Washington after he followed the same AHL career path. The Islanders also looked to the AHL for their head coach last summer and plucked Scott Gordon from the Providence Bruins. Last fall two NHL teams went poaching in the CHL for their new coaches and had different results. The Ottawa Senators opted for a do-over a few months after giving the gig to Soo Greyhounds coach Craig Hartsburg. On the other end of the scale, the Florida Panthers are happier than could have been expect with the way Peter DeBoer has made the transition from the Kitchener Rangers to the NHL. So with examples like that in mind, here are a few names to consider from the CHL and the AHL as being realistic targets for new coaching positions at the NHL level in 2009-10. Once upon a time one person suggested that Red Deer Rebels owner, president, GM, coach and head usher Brent Sutter might make a good choice for a NHL job. The response might have been something along the lines of "He's got everything he wants in Red Deer, he doesn't need the NHL." Fast forward two years later and Mr. Sutter is not only leading the New Jersey Devils to the Stanley Cup playoffs but he still holds his positions in Red Deer except on the bench. 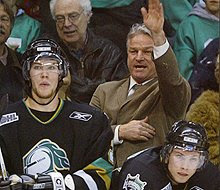 It can work which is why some suggest that Dale Hunter's time in the NHL is overdue. The London Knights have been a juggernaut in the OHL for the past decade and Hunter has had a winning record every year since his first in 2001-02. In fact, take a look at Dale Hunter's numbers as a coach and you'll wonder how someone hasn't talked him out of the OHL already. The Hunters have been criticized for being geared more towards simply winning a Memorial Cup than winning a Memorial Cup while developing future NHL players but the Knights have produced a bunch of notable players who have had success at the pro level. Corey Perry is the poster boy but David Bolland in Chicago, Dennis Wideman with the Bruins, and Sergei Kostitsyn were all members of Hunter-led Knights teams as well. He's already got experience on the bench at the NHL and AHL levels including a stretch as the Oilers farm coach. Molleken has done a remarkable job in Saskatoon with a team many pre-season pundits considered to be a non-playoff squad. He hasn't always had a heck of a lot to work with in 'Toontown' but he coached Mike Green (WSH) in his final WHL year, has helped Braden Holtby become one of the best goalies in the WHL and looks to be doing wonders for Stefan Elliot as well. 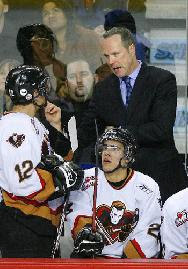 Not to mention that Molleken might be the WHL Coach of the Year, he'd be a worthy candidate on anyone's list. He's won a pair of league titles, taken the Tigers to two Memorial Cups, was on the bench with Canada at the 2009 World Juniors and still might not get enough recognition for his development abilities. Cam Barker, Joffrey Lupul, Clarke McCarthur, Darren Helm, Matt Keetley, Kris Russell and now Tyler Ennis - it's an extensive list of players that Desjardins has helped earn pro contracts. His winning percentage isn't much behind Hunter's and his club isn't thought of one that will back up the truck in order to land players via trade. 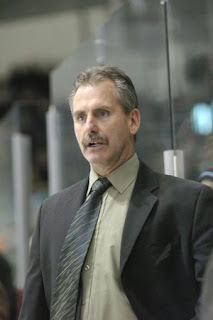 He's had to make do with what the team has given him via the WHL draft, which has always been a strong point for the Tigers, but Desjardins is a proven coach who can get the most out of what he's got. They're the #1 ranked team in the CHL for a reason. Kelly Kisio has built a seemingly unstoppable team that has swept through the Edmonton Oil Kings and the Lethbridge Hurricanes in 8 straight games. When Kisio moved from behind the bench to concentrate on the GM job many thought the Hitmen would enter a bit of a rebuild. That obviously hasn't happened because Dave Lowry has stepped has taken the solid roster that was left him and formed it into a unit that is more than a Memorial Cup contender but an outright favorite. Lowry is only in his rookie year as a head coach but it's his fourth year on the Hitmen bench. Is it really far fetched to think either Kisio or Lowry would make someone's short list? Other CHL candidates could include someone like Stan Butler of the Brampton Battalion. He's the only coach Brampton has had since they joined the OHL. Butler has helped groom Raffi Torres, Rusty Klesla, Wojtek Wolski and now young dynamos like Matt Duchene and Cody Hodgson. He's also got a background with Hockey Canada. What about GM/coach people like Belleville's George Burnett and Sudbury's Mike Foligno who both wear two hats for their respective OHL teams? As far as that goes, how long will it take before Quebec Remparts owner Patrick Roy takes a page from Brent Sutter and returns to the NHL? Kelly McCrimmon's Brandon Wheat Kings are hosting the Memorial Cup next year so I'd be surprised if 2009-10 would be a year he'd leave... but Millard suggested him as a reasonable candidate so here he is. The former Hartford Whalers star forward is one of a number of former players who have stepped behind the bench. 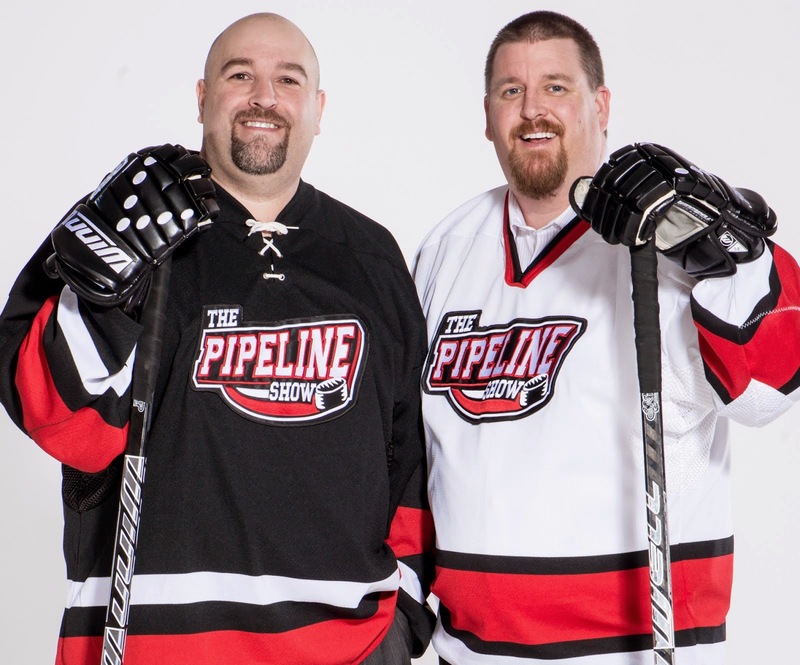 It also seems to be part of the Dineen genetic code as Kevin's brothers Gord and Gary are also in the trade, all of them following in the footsteps of their father Bill Dineen. Kevin Dineen's bio page at the Pirate's website is very informative and helped propel the former sniper from an honorable mention on my list to one of headliners. Not only was he a terrific player but he's enjoying a lot of success now as a coach, traits that should get him respect from all sides of the career coach/player coach debate. This season the Portland Pirates are affiliated with the Buffalo Sabres (Nate Gerbe, Tim Kennedy) after years under the umbrella of the Anaheim Ducks (Bobby Ryan, Andrew Ebbett, Brendan Mikkelson). Even with a completely new line up sitting at his feet, Dineen still has Portland poised for the postseason - and that should be considered a huge success. It's also interesting that with the change over from Anaheim to Buffalo, the Sabres chose to keep Dineen on with the team; that's a sign right there that they recognized his abilities as a coach. This is a name that has been brought up a few times this year including earlier today by Jonathan Willis at Oilers Nation. Arniel should be near the top of the shortlist for a lot of teams, including Edmonton, because of his track record behind the bench since ending his lengthy playing career. He's this year's AHL Coach of the Year as he's guided the Moose to the top of the AHL's North Division. Arniel played many years in the NHL, mostly witht he Buffalo Sabres and the Winnipeg Jets. He's now got 8 years of coaching experience, the last three as a head coach, and appears proven in terms of getting the most out of his team. The Vancouver Canucks have brought in a few players who Arniel can take a lot of credit for getting NHL ready including Jannik Hansen, Jason Jaffrey, Mason Raymond and Rick Rypien. A couple other AHL coaches who might be considered 'on the rise' include Lane Lambert of the Milwaukee Admirals and the Hartford Wolf Pack's Ken Gernander. Both are former players who have been head coaches for only a few years but both have thier clubs sitting on top of their respective AHL Divisions. Hamilton Bulldogs coach Don Lever should be in line for a promotion after spending the last four years in the minors with a Calder Cup to show for it. Here's a coach I think might be of interest to other NHL teams because he's got head coach experience and he's currently part of a Stanley Cup contending staff in Boston. Claude Julien had him on his AHL staff in Hamilton and requested Geoff Ward from the Oilers once he moved to Boston so you know he's respected. 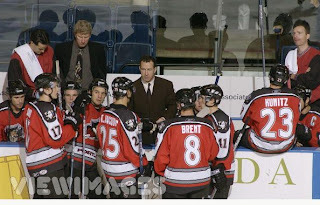 Ward didn't have much success with the Toronto and Edmonton Road Runners but in the team's last year of split affiliation with Montreal in Hamilton, he coached the club to the Calder Cup finals. Jarret Stoll, Tomas Plekanec, Michael Ryder, Kyle Brodziak and Brad Winchester were early pro pupils under Ward's care. As part of Boston's coaching staff, Ward has helped Claude Julien turn the Bruins around from also-rans to a team that leads the NHL Eastern Conference standings. Claude Noel was a longtime minor league coach before Scott Howson and Ken Hitchchock stole him from the Milwaukee Admirals a couple seasons ago. As head coach in Milwaukee, Noel had been to the finals in two of his four seasons winning one AHL title in the process and never having a winning percentage below .600. Like the three pro coaches listed above, Noel has also won a Louis A.R. Pieri Memorial Award as AHL Coach of the Year. In Columbus, Noel is working alongside one of the best coaches in the game and it would be hard to believe that being around Ken Hitchcock on a daily basis could do anything but help an already high quality coach become even better. The Ottawa Senators saw enough from little known Cory Clouston to have recently removed the 'interim' tag from his job title proving that not all teams look to recycle unemployed NHL coaches. Who will the Montreal Canadiens take on next year to replace Guy Carbonneau? 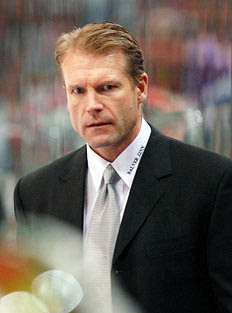 Is that where Don Lever ends up or is Kirk Muller being groomed for that role already? Is Dave Tippet's job secure in Dallas? What about Barry Trotz in Nashville, or Randy Carlyle in Anaheim? It seems like a fore gone conclusion for Craig MacTavish and the Edmonton Oilers but what about the Colorado Avalanche? Is Rick Tocchet safe in Tampa Bay? Several coaching jobs could be available this summer and if so, there also looks like there is no shortage of quality coaches who could step up to claim one of them. Thanks Traktor. Tell your friends. Awesome read. Sounds like a lot of people would be happy with Arniel in Edmonton. Perhaps Dineen's success with transition would be the most valuable asset though for an Oilers team that continues to have some of the leagues highest movement. When I started making my list I had Ward and Arniel at the top but as I started checking into Dineen he really started peaking my interest. A nice playoff performance by the Pirates this year would raise his stock even more. molleken is the most overrated coach in the CHL. He has never won anything. I love the list but cannot imagine how a wonderful hockey mind like yours could think that a guy who ONLY loses deserves a shot???? PS - molleken did not coach Green in his draft year. You're right, it was his season after the draft and his last in the WHL (Green's).